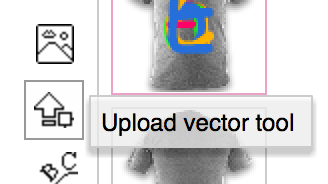 How can I upload a vector? Merge like colours (alt+Union in Illustrator, Weld in CorelDraw) so there is one object for each colour. Upload using the new Upload vector tool and the svg will appear in 'My assets'. Click it from there to add it to your shirt. How large can you print my image? How does my artwork get sized?